Good news for mobile users, after the arrival of Jio, a steady Recharge plan is Coming to the market. Airtel has launched new plans to target Jio. 5 rupees and 8 rupees are also included in the plan. We are showing you both Airtel and Jio plans. In which you can Understand which Company's plan is Best for you. At Rs 399, Airtel is offering 1GB 4G Data every day, in this case, local and STD calling is also Unlimited. The plan has been Launched by targeting the Jio-399 plan. Jio is offering 1GB 4G data for 84 days at 399 Rupees. 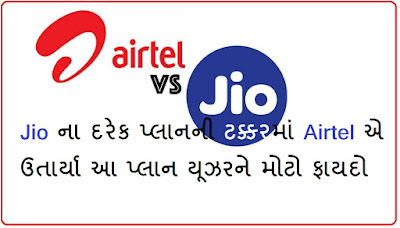 The Jio Plan is open to all customers while Airtel's plan is for all selective customers. At Rs 349, Airtel is Offering Unlimited local and STD calls. In this, 28GB data will be available to the customers, so for every 28 days, 1GB Zeta users are getting. This plan has been Launched by targeting Jio's plan of Rs 349. Geo is offering 20GB of data for 56 days with Unlimited calling at Rs 349. Jio has no daily limit to spend data on this plan, so if a user wants it, he can also use full 20GB of data in a single day. There is an Unlimited Calling on Airtel to Airtel in the Rs 149 plan. With this, 2GB 4G data is being given for 28 days. While Jio is offering Unlimited calling on any network at Rs 149. Also giving 2GB of data for 28 days. With an Airtel 8-rupees plan, the user can make local and STD calls for 30 paisa per Minute. The validity of this plan will be up to 56 Days. When a 40 rupee plan will get talktime of Rs 35, there is no guarantee of validity. A 60-rupee plan will get talktime of Rs 58, there is no time limit in this too. 5GB plan will get 4GB 4G data for 7 days. 199 plan will get unlimited local calling for 28 days, plus 1GB 4G data will be Available. 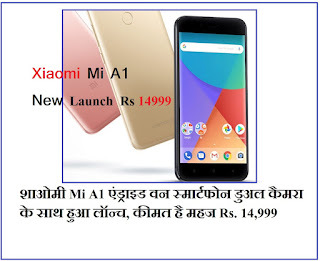 Xiaomi Mi A1 Andraid One Launch Rs 14999. 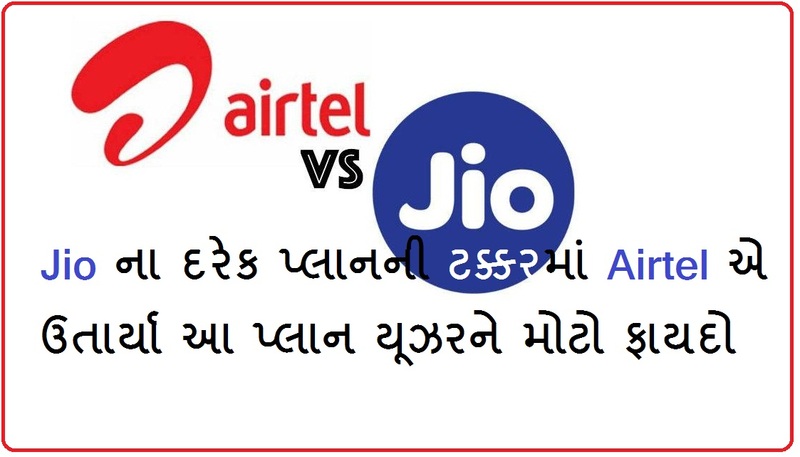 0 Response to "Best New Plans Airtel vs Jio"